Between 1982 and 1983 the School of Valparaíso mounted three exhibitions celebrating three anniversaries: 30 years since the School’s founding, 10 years of Graphic Design, and 10 years of Object Design. 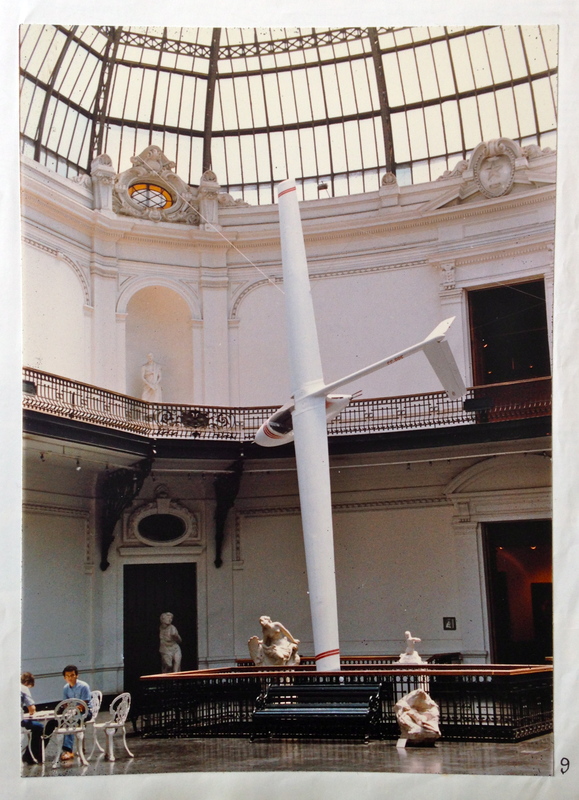 These last two exhibitions were a bit mixed up in my mind and I feel compelled to correct the caption on this plane—it does indeed seem to be landing in the grand central space of the Museo Nacional de Bellas Artes (MNBA), but the year is 1983 and it is part of the Object Design exhibition. A hidden narrative in the School’s history is their dedication to organizing informative, accessible, and striking exhibitions, as evident in the 2012 São Paulo Biennial. 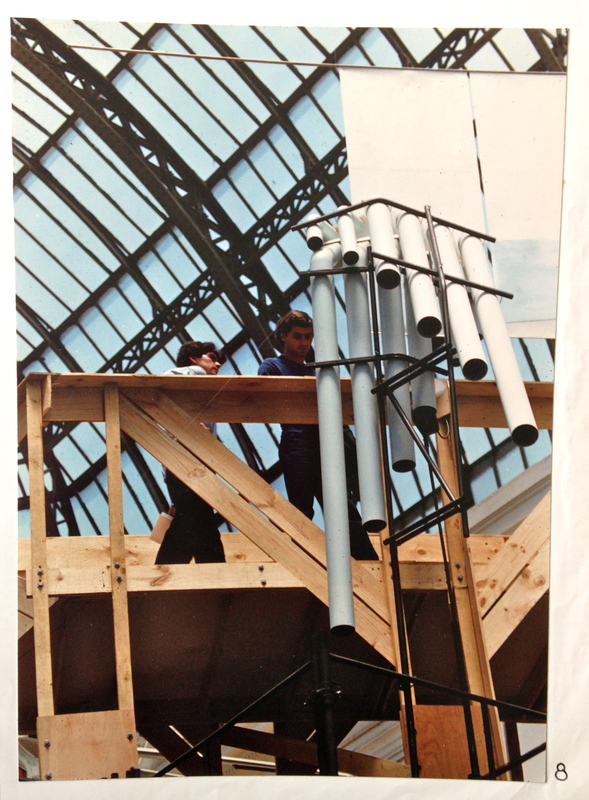 The planes, snorkel-like “wind harps,” and numerous other installation works are proof of how the School of Valparaíso dominated the MNBA in the early 1980s. 1983, 10 Years of Object Design at the School of Valparaíso, Museo Nacional de Bellas Artes, Santiago, Chile. Scanned from Renán Alejandro Peralta Vásquez, “Catálogo general 10 años de diseño de objetos” (Valparaíso: Universidad Católica de Valparaíso, 1984).